A tooth that is infected is often called a dental abscess. The pain involved is often excruciating and drives most people to seek treatment. However, some are convinced that the pain will go away or are too frightened to visit a dentist. However, the dangers of ignoring a tooth infection are frightening. An abscess is typically caused when a tooth has a crack or opening due to a deep cavity. 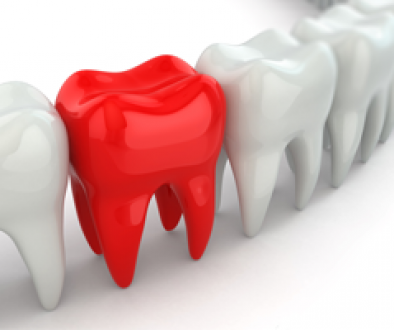 The crack or hole causes pulp exposure and bacteria begins to erode the tooth further and the pulp starts to die. The infection grows and pus forms in the roots of the tooth. Sometimes the patient won’t even realize he has this condition until a dentist catches it during a regular exam. Other times, the pain will drive the patient to the dentist to find a solution. 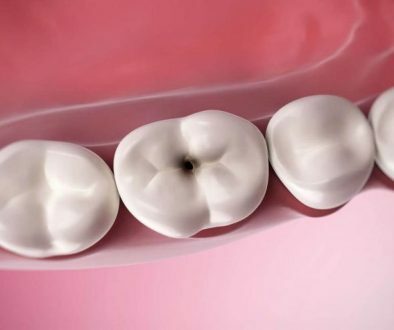 Tooth loss – because your root is not infected, you can completely lose that tooth and even surrounding teeth if you do not have the condition treated promptly. Jaw bone – the infection can spread to your jaw bone and cause erosion and. Impact to soft tissue and sinus cavity – the infection can spread to the soft tissue of your face and your sinus cavity. Brain – the infection can also travel to the brain. Once the soft tissue of the face is infected, it is just a short jump to the brain. Blood poisoning – If the abscess ruptures the infection can spread into the bloodstream and from there travel throughout the body. This is also called septicemia. It is a life threatening condition and can impact the heart, brain and other vital organs. Regular, six-month dental checkups give you the peace of mind of knowing that your teeth are in good condition. If you are getting regular exams, it is unlikely that you’ll develop an abscess in the first place. Your dental professional will likely catch a cavity before it grows deep enough to cause a serious issue to the pulp of your tooth. Likewise, your dentist will catch any cracks or other issues before they become too serious. If you avoid dental checkups out of fear of the dentist, think about how much scarier a dental abscess can be. It only takes a little of your time to get a dental exam and the regular exams can save your life.